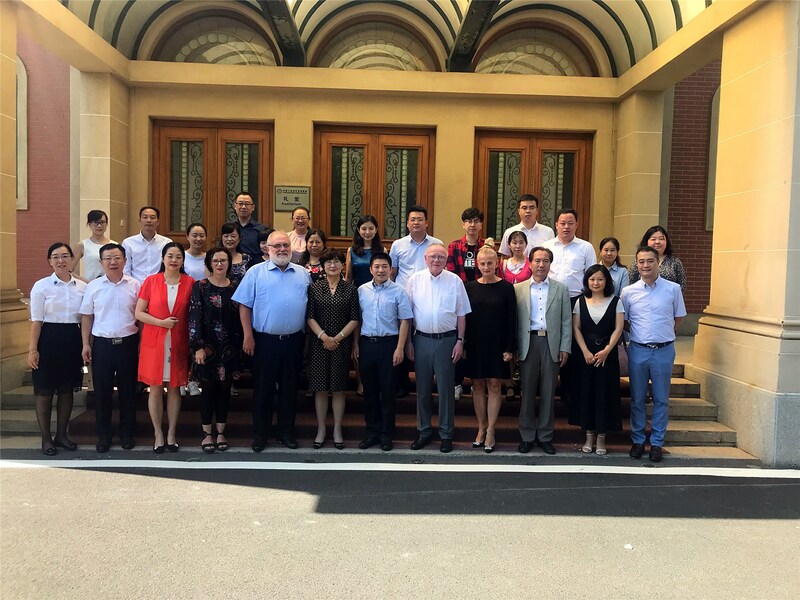 On the morning of September 4th, 2018, Sino-German Eldercare Project Seminar was held by The China Service Center for Friendship and Cooperation with Foreign Countries (CSC)in Beijing. 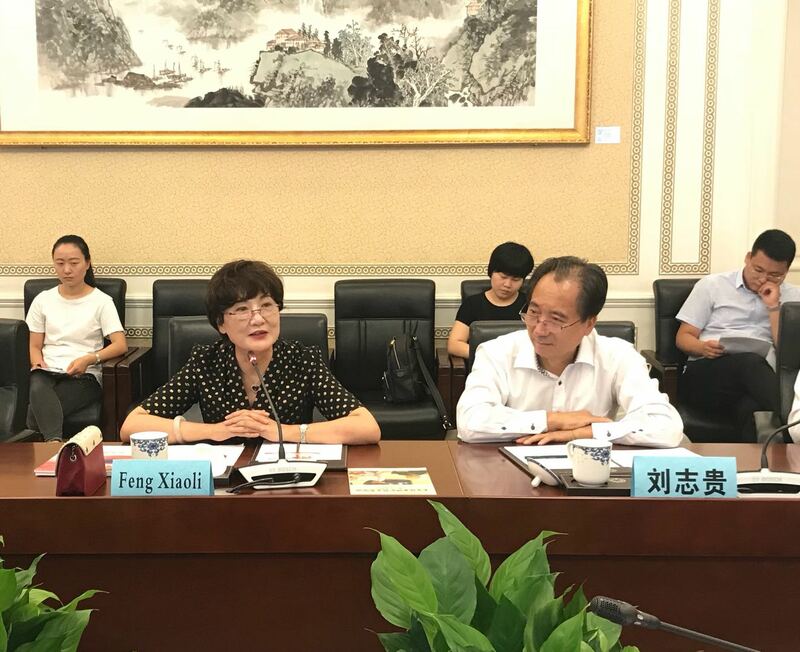 Feng Xiaoli, President of China Association of Social Welfare and Senior Service(CASWSS), Liu Zhigui, Vice-President of China Association of Social Welfare and Senior Service were invited to attend the seminar. The meeting was centered on the topic of jointly carrying out senior service talents cultivation projects by China and Germany. 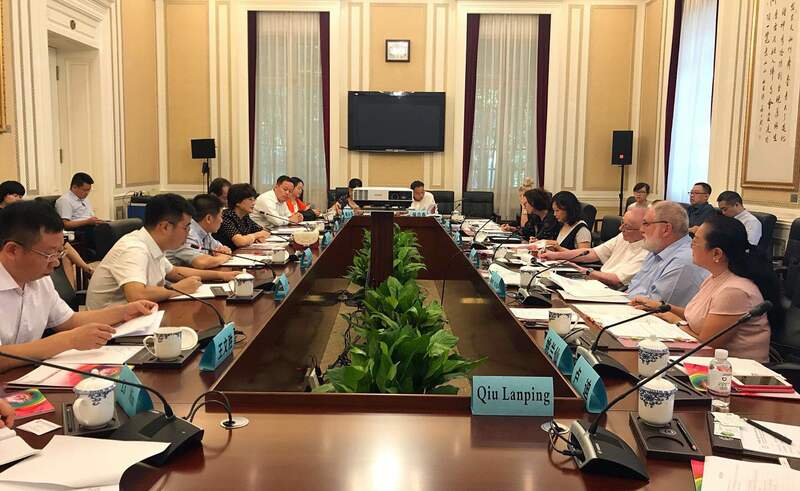 Representatives from German-China Welfare Association and Unternehmensgruppe and China’s several vocational colleges attended the meeting, offering suggestions to effectively drive projects. The meeting achieved a complete success. Wesley Wang, Director of Project Department of CSC presided over the meeting; Zhang Zihui, Deputy Director of CSC made an opening speech. Feng Xiaoli, President of CASWSS delivered a speech firstly. First of all, she spoke highly of mutually conducting eldercare projects under the background of China and Germany actively deal with aging population. Then she generalized political measures that had been put forward by China’s government to actively deal with aging population, fully drive openness of senior market, improve quality and promote efficiency. She outlined developing trend of China’s senior service industry and the challenge of professional staff shortage which seriously drag its development. President Feng also introduced the effort made by social forces who actively cooperated with governmental department and devoted themselves in standardization construction, talents cultivation and international exchange and cooperation in senior service industry, as well as the demands to talents cultivation. She then focused on and introduced the CASWSS’s abundant results in promoting industry’s integration and development in terms of conducting China International Senior Services Expo(CISSE) for 7 consecutive years. She earnestly stated that CASWSS will make an effort in promoting Sino-German eldercare projects. 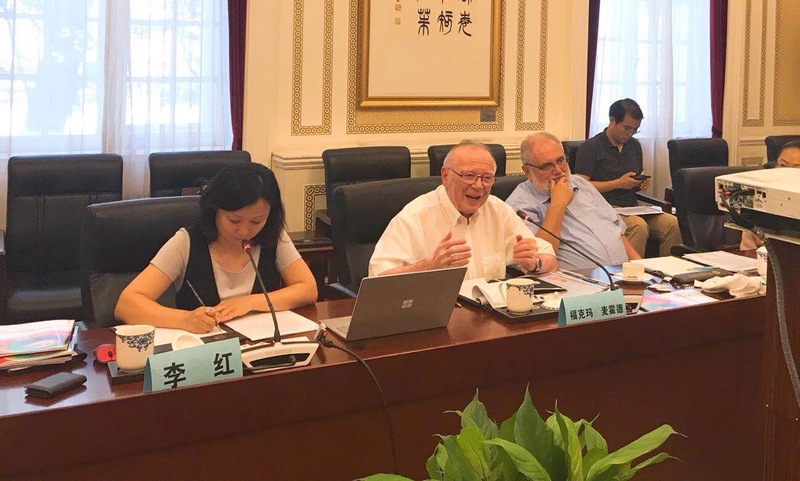 Rainer Dold, Chairman of German-China Welfare Associationdelivered a speech in which he passionately recalled the history of China and Germany actively exploring senior service international cooperation. He also introduced the signing and execution of Sino-German senior caregiver training projects under the kind care and support of Primer Li Keqiang, and expressed his expectation for further cooperation. Volkmar Meinhold, Chief Executive of Unternehmensgruppe delivered a speech. 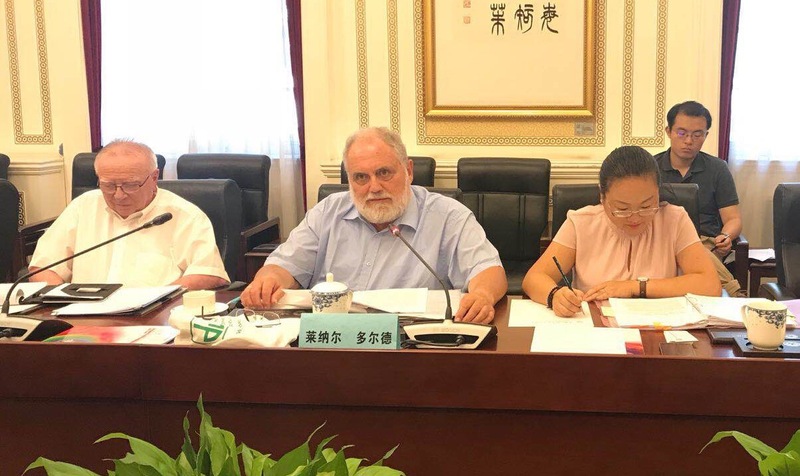 He specified the great importance and support attached by German government to Sino-German eldercare projects, introduced the projects’ design idea, process and promoting measures. He expressed the willingness to establish cooperation system with CASWSS under the support of CSC, organizing a pavilion to participate the 8th China International Senior Services Expo in 2019, exhibiting Sino-German cooperation results at this international stage, publicizing and further promoting exchange and cooperation, making contributions to China’s senior service development. 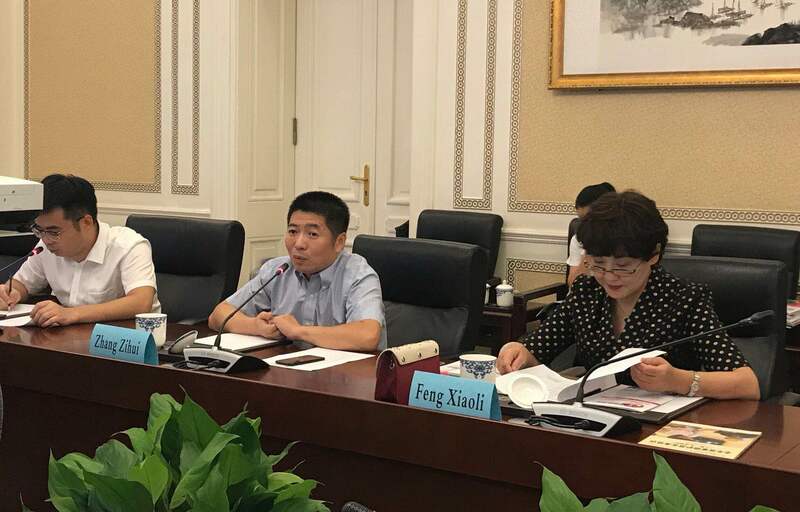 At the seminar, representatives from Sichuan Nursing Vocational College and Changsha Social Work College and other projects participants actively join the discuss, expressed their expectation and suggestions to implement Sino-German eldercare projects. The seminar came to a successful conclusion in a friendly atmosphere.